Filling a venue with temporary seating is a time-consuming process—both during setup and take down—since it requires heavy chairs to be unstacked and then stacked again. But the designers at Seoul-based Centimeter Studio realized there was a better way. 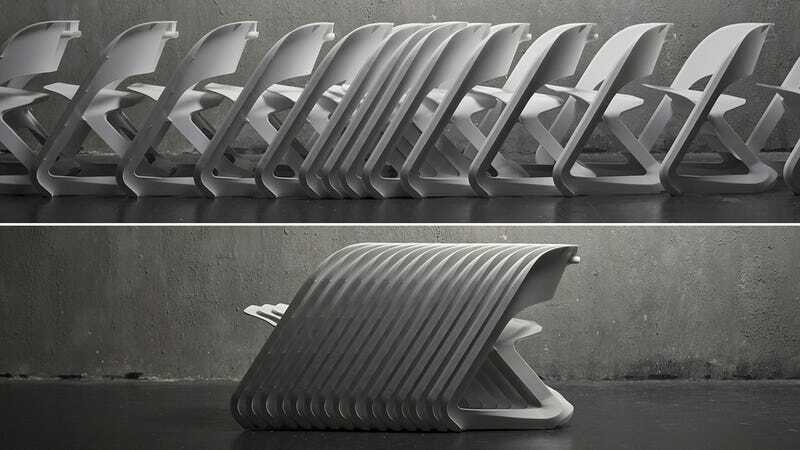 Their Sleeed chairs slide together and stack horizontally, so a whole row of them can be compressed like a bunch of nesting shopping carts.